Militarized police officers with tanks and drones. Pervasive government surveillance and profiling. Social media that distract and track us. All of these, contends Bernard E. Harcourt, are facets of a new and radical governing paradigm in the United States--one rooted in the modes of warfare originally developed to suppress anticolonial revolutions and, more recently, to prosecute the war on terror. 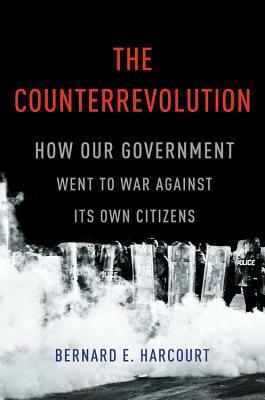 The Counterrevolution is a penetrating and disturbing account of the rise of counterinsurgency, first as a military strategy but increasingly as a way of ruling ordinary Americans. Harcourt shows how counterinsurgency's principles--bulk intelligence collection, ruthless targeting of minorities, pacifying propaganda--have taken hold domestically despite the absence of any radical uprising. This counterrevolution against phantom enemies, he argues, is the tyranny of our age. Seeing it clearly is the first step to resisting it effectively. Bernard E. Harcourt is the Isidor and Seville Sulzbacher Professor of Law and a professor of political science at Columbia University. The author of several books, including The Illusion of Free Markets and Exposed, he lives in New York City.